Jenny Lewis performs on day 1 of the 2014 Governors Ball Music Festival at Randall's Island on June 6, 2014 in New York City. Jenny Lewis backstage after performing in the Boston Calling Concert at City Hall Plaza on Saturday, May 24, 2014. Jenny Lewis of Jenny Lewis and Friends performs as part of the 27th Annual Bridge School Benefit at Shoreline Amphitheatre on October 26, 2013 in Mountain View, California. Jenny Lewis of The Postal Service performs in concert during the Free Press Summer Festival at Eleanor Tinsley Park on June 1, 2013 in Houston, Texas. Musician Jenny Lewis attends the 'Very Good Girls' premiere at Eccles Center Theatre during the 2013 Sundance Film Festival on January 22, 2013 in Park City, Utah. A couple of years ago, I was at a work event waiting in line to get in bed with Tyra Banks (you can't make this stuff up), when I found myself standing next to a woman with long wavy hair and some blunt yet perfectly mussed up bangs. I couldn't resist. "I love your hair," I said. "Oh... thanks," she replied -- maybe a little snooty/creeped out, but whatever. Incapable of taking social cues, I kept talking. "It's very Jenny Lewis." "Wow. Thank you," she said, a little warmer this time around. "That's, like... the best compliment. EVER." We've all heard the "scientific" speculations that redheads are a dying breed. Well, thank god Jenny Lewis happened before the extinction. The singer-songwriter and former Rilo Kiley frontwoman, 38, has a third solo album, "The Voyager," due out next month. In the last week alone, she's had her own features in both WWD and Vogue.com, but she's been mesmerizing her followers for two decades with her trademark ginger mane, cute-as-a-button onesies and perfectly worn-in denim jackets. 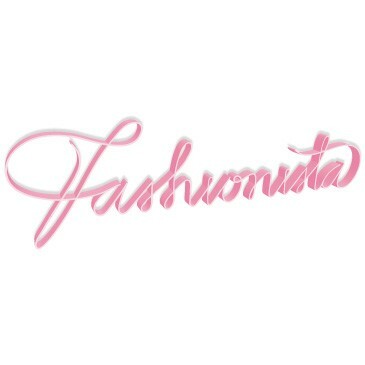 Now-a-days, most people credit Alexa Chung with introducing juvenile clothing-as-grownup-wear to the masses. But Jenny Lewis was rocking rompers and little kid prints onstage back when the Chungster was still in her teens, and LONG before ModCloth had cornered the market on oversized sailor collars. Whether she's dressing the part of an alt-rock princess, country-esque folk artist, jean-loving tomboy or her latest incarnation -- an androgynous 1970s guitar goddess in a custom-airbrushed technicolor suit, Lewis's look has evolved without ever feeling too forced or "put-on." No mid-set costume changes for this lady. And I'm not only saying all this because she once pulled me up on stage to harmonize with her and Johnathan Rice on "Acid Tongue." But yeah, that happened ♥. 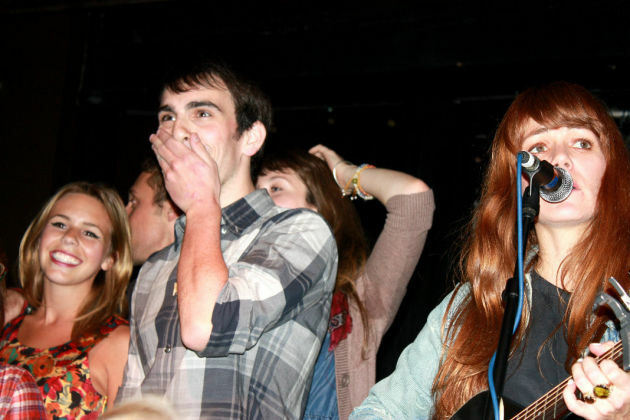 Me (left) freaking out onstage with Jenny Lewis a few years back. Another personal Lewis anecdote: My best friend in college and I bonded over our obsession with the child actress-turned-indie-darling. We both had her pictures plastered on our bedroom walls, torn carefully from Spin and Rolling Stone. But my friend had something I'd never have: A head full of thick, flowing, bright red hair -- just like our idol -- and for that reason alone, I felt that I existed permanently in the shadow of her Jenny Lewis-ness. It was a sad place to be. Life, sometimes, RIGHT? Via her teeny-tiny, high-waisted shorts, babydoll dresses and cool as f--k fedoras, JL taught my early-20s-self that looking gorgeous and girly -- plus, being insightful and intellectual (not to mention crazy-talented) -- didn't have to be mutually exclusive qualities. And to top it off... it doesn't hurt that her music is effing awesome. Click through the gallery above for some of Jenny Lewis's best style moments.